Updated: 8:16 p.m. | Posted: 5:10 p.m. The Walker Art Center and the Minneapolis Park Board were racing toward a triumphant re-opening of the Sculpture Garden. Artist Sam Durant's "Scaffold" was erected and met with widespread disapproval, then a tumultuous week that ended in the piece's dismantling. Now, Durant and Walker Art Center Executive director Olga Viso are reflecting on the recent events. In a wide-ranging interview Monday, they described a painful learning process on why Durant's sculpture offended so many people, and why it is OK that the piece may be burned ceremonially. Viso is usually poised and seems prepared for anything. But after recent events even she seems non-plussed. When asked how in the space of a week a huge sculpture in the Minneapolis Sculpture Garden is gone, she was initially lost for words. After a long pause she shook her head and said, "I'm sorry. Yeah, I know it's an important question." When controversy began, one of Viso's first moves was to send an open letter to the community revealing they had a problem. Durant's massive sculpture "Scaffold" referred to some difficult Minnesota history. Meant as a critical commentary on the U.S. history of capital punishment, the piece included design elements from seven hangings. One was the mass execution of 38 Dakota men in Mankato after the U.S.-Dakota War of 1862. 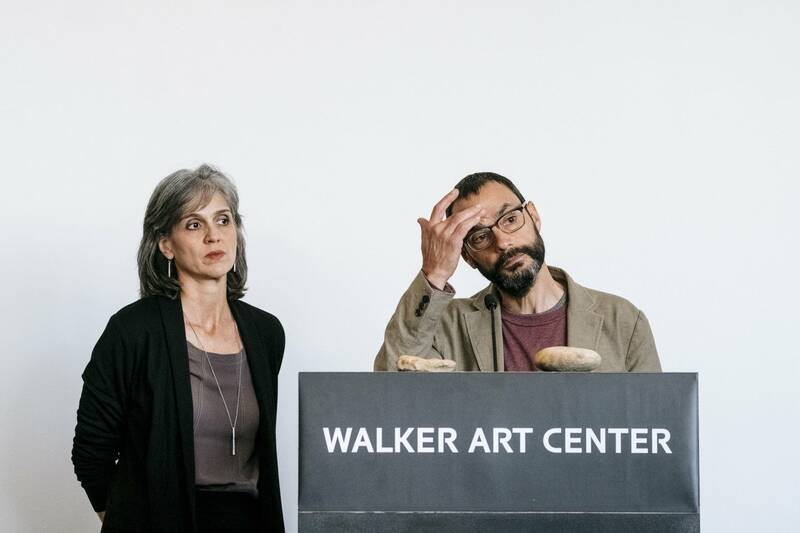 As Walker staff tried to design interpretive materials around the piece they realized, Viso said, they were no longer dealing with education, but human pain in the Dakota community. "Trying to bring awareness to this moment in history could really only be read through the lens of trauma," she said. A mediation session between the Walker, the Minneapolis Park Board, Dakota elders and Durant called just days after the publication of Viso's open letter brought dramatic results. First , Durant said, they all learned a lot. "I was ignorant," he admitted. "I didn't understand how powerful a symbol the Mankato gallows is, was and is, for the Dakota people." He does now. He apologized, gave the intellectual property rights of the piece to the Dakota and promised never to create another piece based on the Mankato scaffold. Durant and Viso also agreed to dismantle scaffold and have wood from the structure to be burned ceremonially. Durant said he knows the symbolism of burning an art work raises concerns. But "Scaffold" is now Dakota property, and burning means something different. "For them it part of a sacred ceremony and it has important spiritual healing dimensions," Durant said. 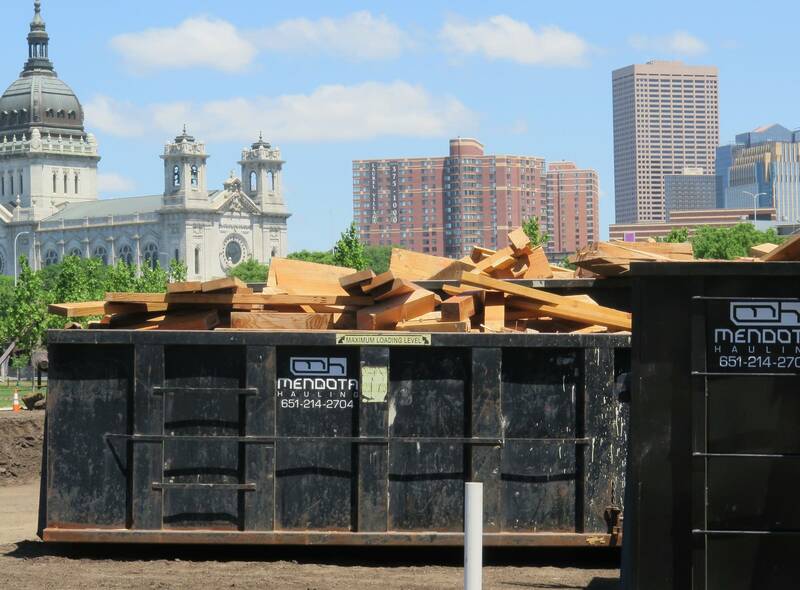 While a construction crew removed the wood from "Scaffold" over the weekend, it's unclear whether it will be burned. Dakota nations not involved in the mediation want a say in the decision. Durant said it is all new territory. "I don't know that anything like this has happened before, certainly not that I am aware of," he said. "So I am willing to go on this journey, and I want to see what happens. It's absolutely fascinating to me." When asked if the events of the last week have created any precedents, particularly for who gets to decide what happens to art that someone finds offensive, both Durant and Viso say this was a unique situation caused by unique circumstances. Viso said the precedent is for engagement with the community. She said the Walker should have contacted the Dakota earlier about Scaffold. "We remain just deeply, deeply sorry of the misunderstanding and the not understanding the complexity and the context and the suffering that were caused," she said. "It was certainly not our intent to do that." The Sculpture Garden re-opening is now scheduled for Saturday. Viso said it's too soon to talk about how much this has cost the Walker — both financially and in terms of damage to the institution. But she said as the leader of the Walker, she's committed to change and to moving forward.